Out of all the things that managers and business owners need to think about, the latest and best eco-friendly cleaning products are not usually high on the agenda. However, having the most effective cleaning products is important for maintaining a spotless workspace and it is becoming increasingly important for products to be eco-friendly and less damaging for the environment. 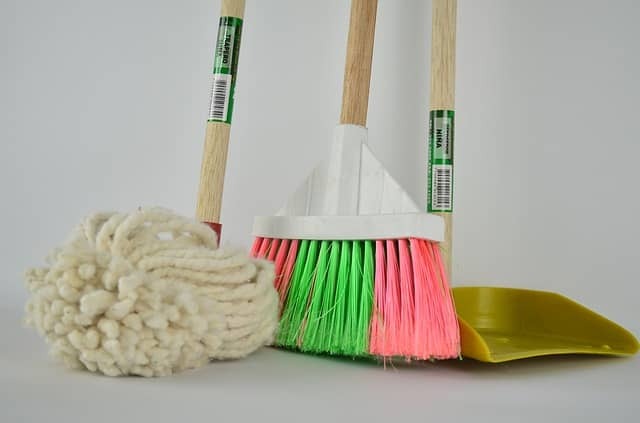 Below are some of the top cleaning supplies all office should have and how they can keep your office in tip top condition. The handiest of all cleaning products is the cleaning wipe. Easy to access, easy to use and easy to dispose of. Having a handy supply in the office will never go amiss and can mop up any spills and stains quickly! Ensure you buy biodegradable wipes to be as eco-friendly as possible, as well as checking whether they have disinfectant to stop the spread of germs and bugs. A full busy office can sometimes not be the nicest smelling environment – especially if it’s a hot day or someone has had something unpleasant smelling for lunch. Air fresheners can be a life-saver – just take care to ensure they are actually get rid of odours rather than just masking them. There are plenty of eco-friendly air-fresheners on the market that can make your office smell fresh once again and get rid of any lingering odours – or just leave the job to your expert janitor service. Annoying smudges on your computer screen getting in the way? Crumbs in between the keys of your keyboard from a colleague’s biscuits? Computers are the most used items in a modern office environment and can end up one of the dirtiest. Screens need to be cleaned with specific wipes and cloths to ensure that the dirt is removed and microfiber cloths can be reused making them environmentally friendly. Dirty keyboards can be cleaned with cleaning putty – a unique and even fun away of getting rid of dust and crumbs! Clean toilets are vital for any office space and for staff to feel happy and comfortable at work. Toilet cleaners can often have harsh chemicals which leave a nasty smell, but spotless washrooms are a must in all commercial buildings. Speak to your commercial cleaning team about the best toilet cleaning products available. If your office has a kitchen area, it can often end up messy very quickly due to employees being too busy to wash up their mug or leaving their dirty lunch pots unattended. Washing up liquids can be harsh on skin but new companies have sprung up in recent years with alternatives – kind to skin and without the harsh toxins of traditional cleaners. As you can see, there are a lot of different products for your office and finding the right one might be tricky. Why not let Regional Services clean your office and leave the decision of which products to use to the experts?